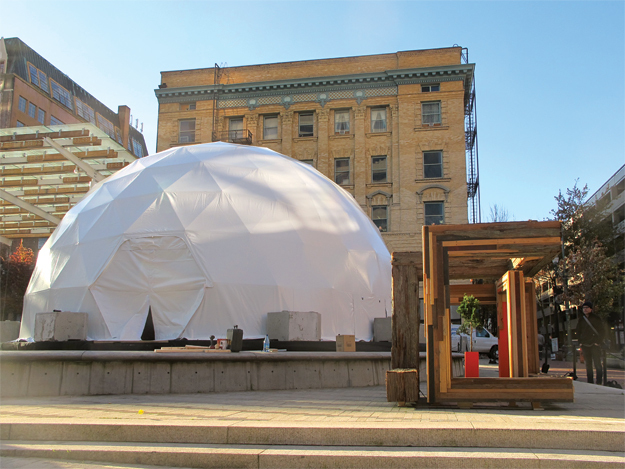 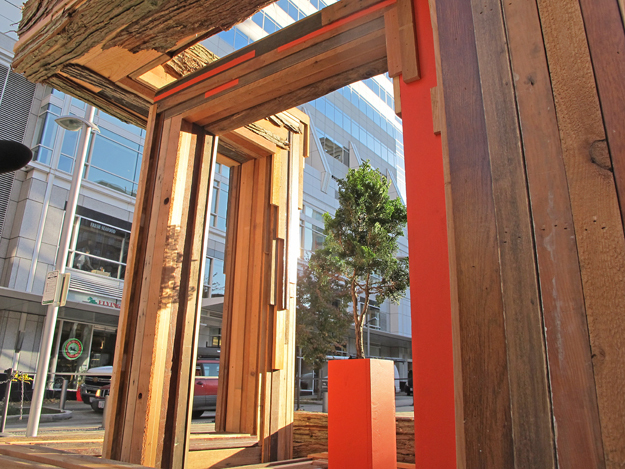 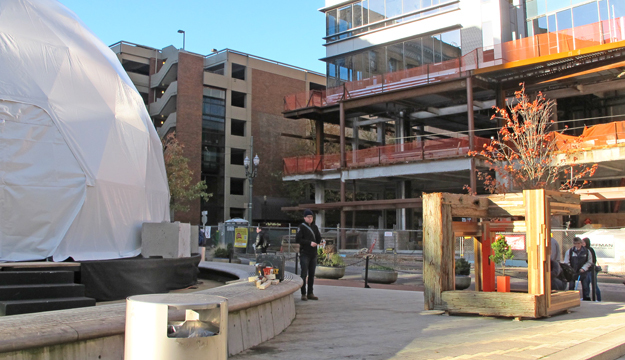 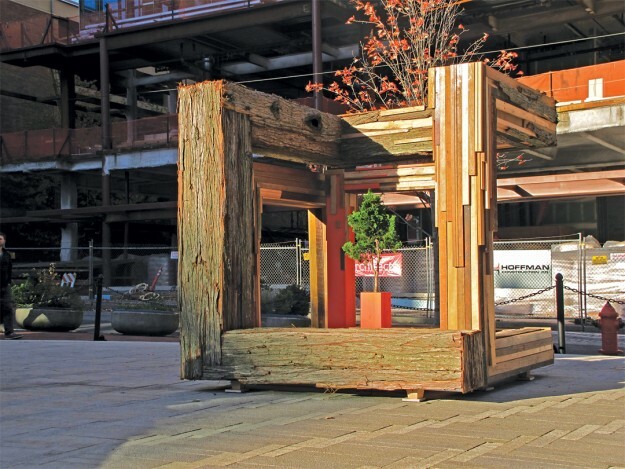 During the month of November, Northwest community bank UMPQUA commissioned eight local and national artists, designers & sculptors to create original outdoor sculptures that were displayed for 10 days in Directors Park in downtown Portland. 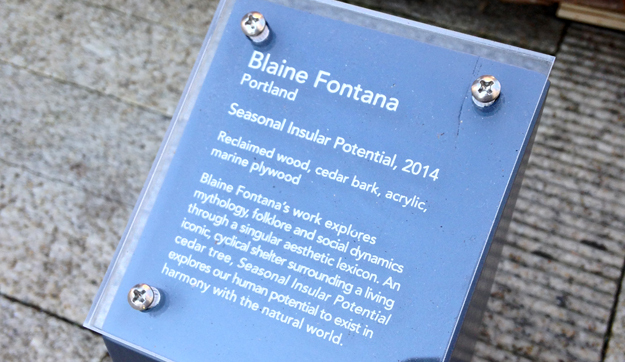 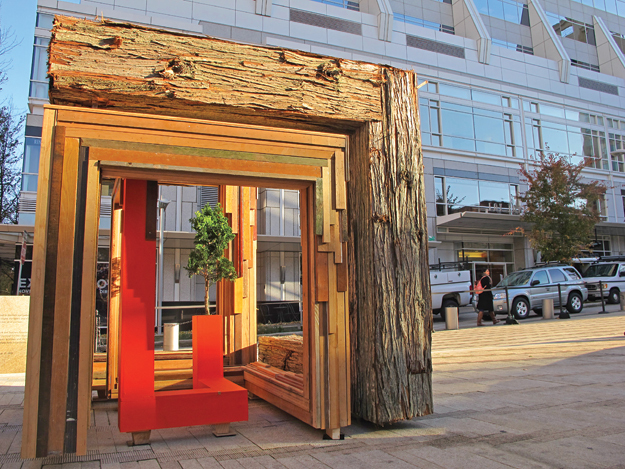 We set out to build a 6′ sculpture based on a previous 12″ version inspired by a nurse log. 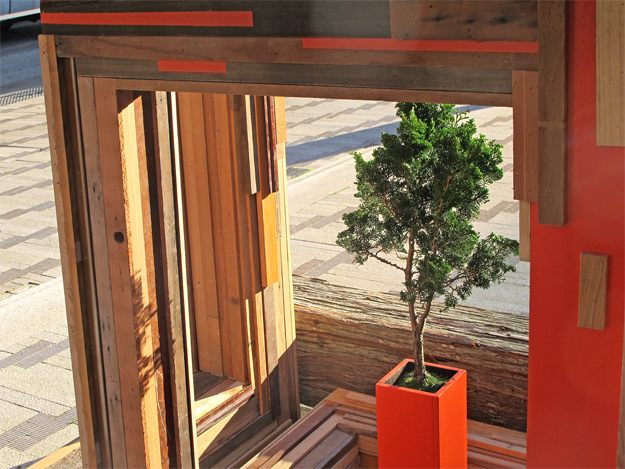 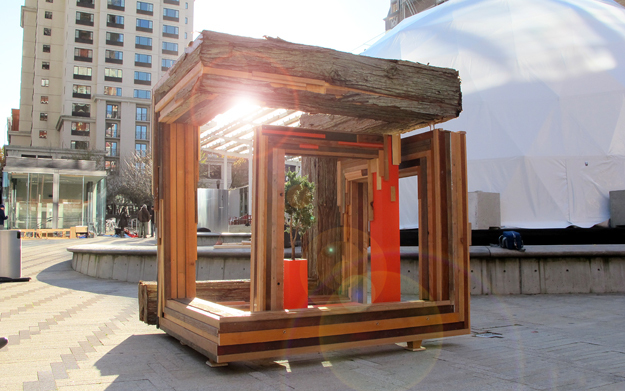 Made entirely out of real cedar bark, reclaimed cedar and fir wood, it also house a dwarf hinoki cypress. 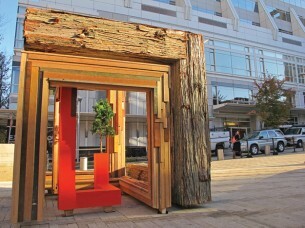 This sculpture represents the potential of human growth & the cyclical relationship we have with nature.